Múinteoir Liam Ó Lionáin agus na Paistí as ranga 5 agus 6. 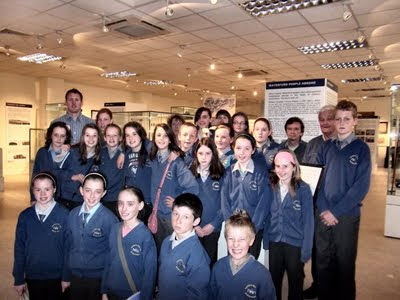 On Thursday 12 we had the pleasure of greeting 5th and 6th class from Scoil Náisunta Baile Mhic Airt along with their teacher Liam Ó Lionáin. 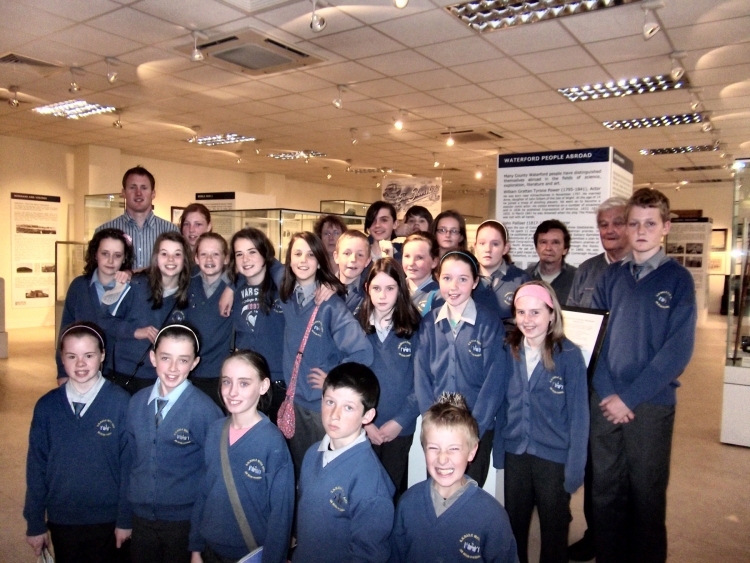 This was their first time visiting the museum and were delighted with the exhibits. They took a great interest in the story of the Moresby and the items on display of this awful tragedy. Our President Nióclas was on hand to speak to the children and enlighten them on the history of the locals James Mansfield, Old Parish and Seán Graves, Ring. See our facebook page to view pictures of the visit.